Are you looking for a natural way to cut through the grease spots on your stovetop? 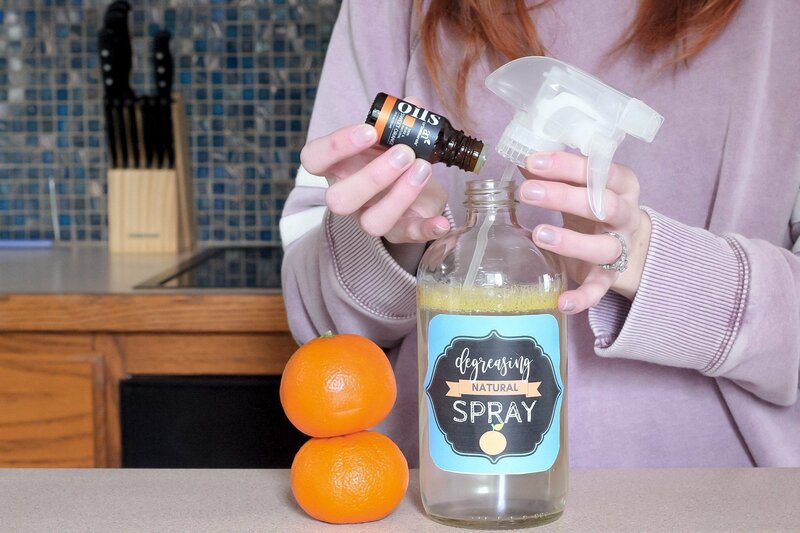 This homemade degreaser not only smells FABULOUS, but it also takes the work out of cleaning a nasty, grimy stovetop without having to use harsh chemicals. When our stove would get greasy, I used to go through a two-step process to get it clean. First, I would scrub it with a sponge and hot soapy water, and then I would spray it with bleach. I would wait 10-30 minutes (usually finding something else to do while I waited for the bleach to eat away at the food particles and bacteria, and then I would come back and wipe it down. It did the job, and my stovetop was clean. But I always worried about rinsing my stovetop enough. I still needed to cook on it, and I was concerned about any fumes that might develop should I need to cook on it in the next few hours. I just never knew, and that uneasy feeling haunted me until I decided to find a natural way to clean and disinfect our stovetop. Don’t get me wrong, I believe bleach has its place in our cleaning supply arsenal, but not on surfaces that deal with food. 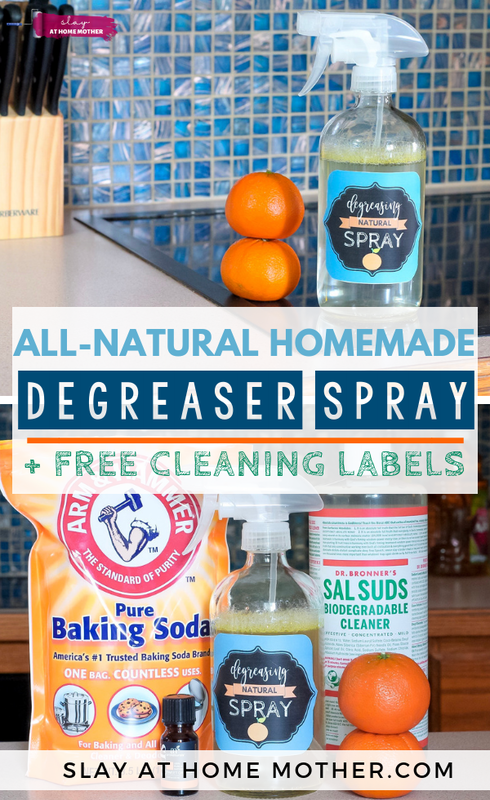 In this post, I’ll be sharing how I make my own natural degreaser without chemicals. When I first used this cleaner, I was half expecting it to do nothing but smell up my kitchen. I was surprised to see how clean and beautiful my kitchen was after using this degreaser – and I think you will be, too! It makes a great kitchen, stovetop, appliance, and counter cleaner. Truth be told, I used to think essential oils and natural cleaners were a huge hoax. I totally didn’t get how oil could help clean, disinfect, or do anything but offer a placebo effect. I was (kind of) happy with my chemicals because I knew for sure that they were doing the job I needed them to do, even though they were harsh and pretty dangerous. Cleaning and disinfecting your home doesn’t have to be harsh and dangerous, though! You can master cleaning up grease, disinfecting surfaces, and leave your home sparkly and beautiful without worrying about your children being able to touch the surface you just cleaned or being able to cook on your bleached stovetop for the next few hours. Essential oils are compounds extracted from plants – they capture a plant’s essence. To get the purest essential oil of a plant or fruit, look for essential oils that are cold pressed. Essential oils can be used for many things like aromatherapy (in a diffuser) to alleviate stress, relaxation, focus, mood, and inflammation, as well as for cleaning, disinfecting, and to help freshen up homes without the use of chemicals or toxins. Besides smelling FANTASTIC, essential oils are well-known and accepted for their microbial properties (meaning they are effective in destroying or stopping microorganisms and bacteria). 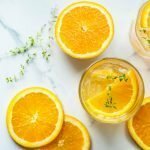 If you don’t have any orange oil on hand, don’t fret! You can substitute the orange oil in this degreaser solution for lemongrass or eucalyptus oil. While peppermint is considered to be a great microbial, I haven’t read anything that indicates it would be good for cutting through grease like the other oils I have suggested so far. To make your own homemade stove and kitchen degreaser, you’ll need baking soda, Sal’s suds, sweet orange essential oil, and warm water. 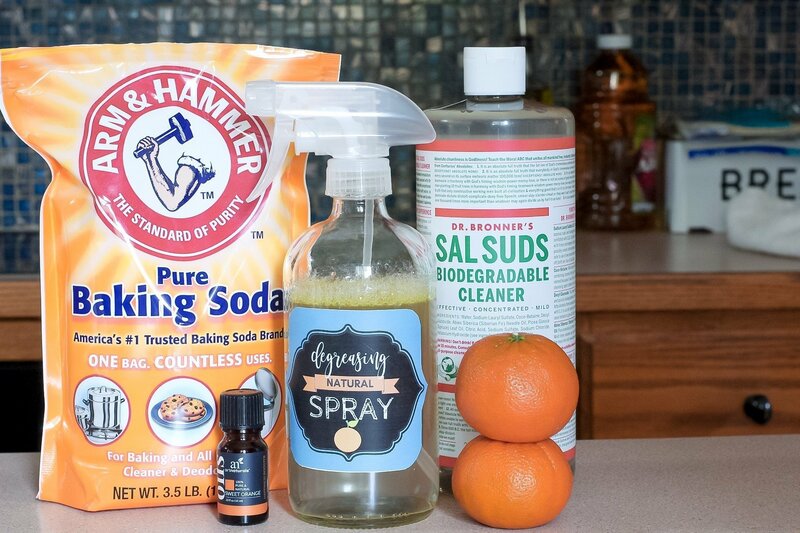 A great homemade degreasing solution to help clean up dirt and grease in your kitchen, bathroom, or wherever! Combine warm water with baking soda in a 16 oz. glass spray bottle. Add in Sal's suds and essential oil, swish to combine. Spray on greasy surfaces, let sit for 1-2minutes, and wipe with a soft microfiber cloth or paper towel. 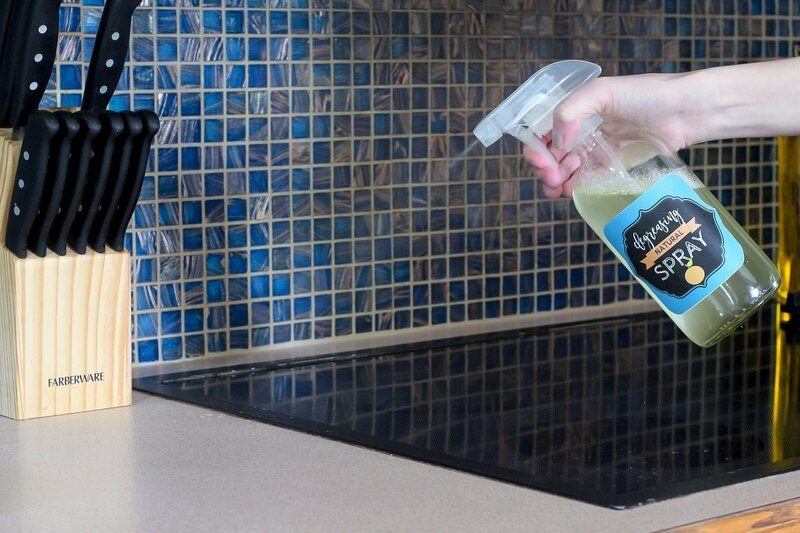 Spray degreaser solution generously greasy surfaces like stovetops, microwaves, oven doors, and counters. Allow solution to sit on the surface for a couple of minutes, and then wipe away with a soft microfiber cloth or paper towel! The orange oil will cut through the grease while disinfecting your kitchen. 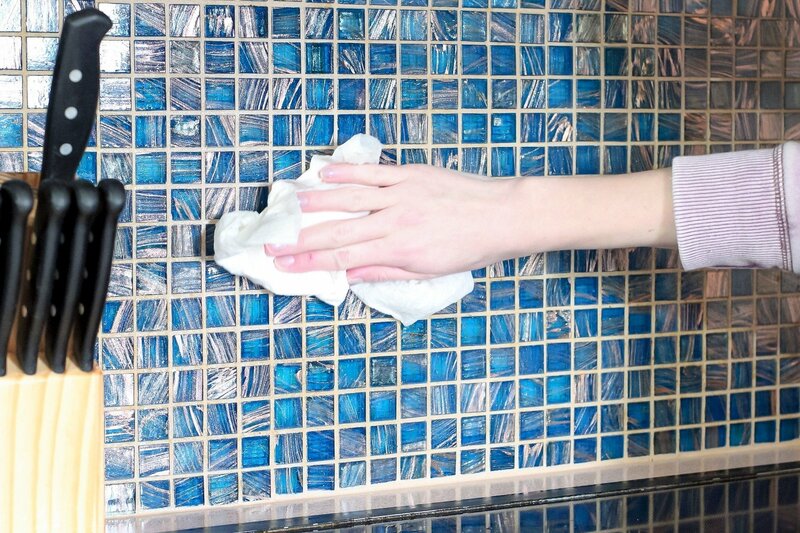 Don’t forget to wipe down your kitchen backsplash (assuming it isn’t wood) for a beautiful, sparkly shine! To see this cleaner in action, check out my post on cleaning your oven glass door (inside, out, and in-between the glass)! 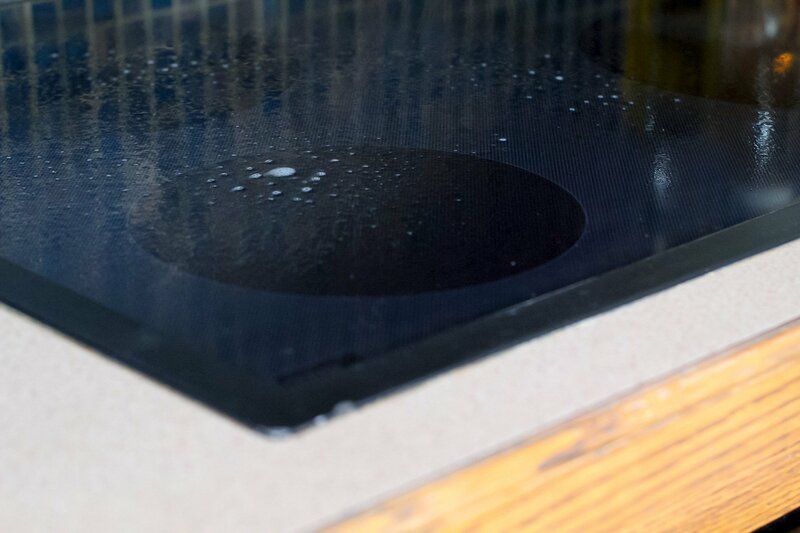 Spray natural degreaser onto dirty stovetop to kill microbes, cut through grease, and clean surfaces. You can safely use this cleaner on stovetops, stainless steel, countertops, tiled backsplash, and within appliances like your microwave or oven. Allow natural degreaser to sit on grease and grime for 1-2 minutes for best results. 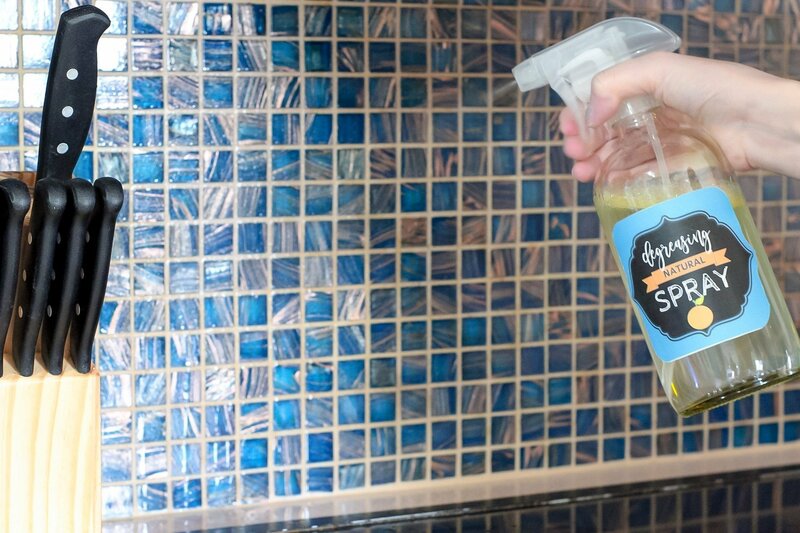 I like to spray this degreaser solution along the tiles of my backsplash when I’m cleaning the stove as well because there’s usually an invisible film of grease and grime there. It works well to remove grease and leaves my backsplash shiny! 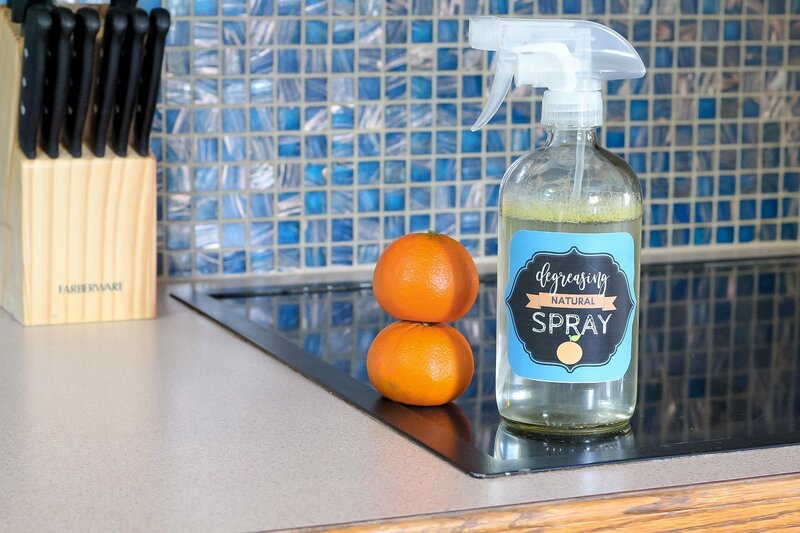 Using just a paper towel (or a microfiber cloth), I can wipe away grease and grime with ease, and leave my kitchen smelling like fresh, sweet oranges! Before, even with the bleach, it looked like I was still spreading the dissolved grease around our stove and counters- yuck! Don’t forget to use natural degreaser on kitchen backsplashes as well, as those surfaces collect the same grease and grime that your stovetop does! Although this is a great natural cleaner and degreaser, you should avoid using this solution on wood surfaces or windows/mirrors. This solution does leave some streaks on windows and mirrors. Many natural cleaners use vinegar in them because it’s a great disinfectant, and it cuts through most grease and grime with ease. Vinegar STINKS. That is all. It’s really a preference. Vinegar is a great ingredient to include in some homemade cleaners because it is so acidic, and is great for cutting down grease and scum – if you can’t get past the smell! If you’re considering using vinegar in your homemade degrease, know that you cannot use vinegar, an acid, on surfaces such as marble, granite, and certain flooring. Before mixing together your first homemade cleaner, remember not to mix vinegar and castile soap together. When vinegar, an acid, mixes with castile soap, a base, they cancel each other out and create a kind of curdled white slime. The vinegar essentially unsaponifies the soap. 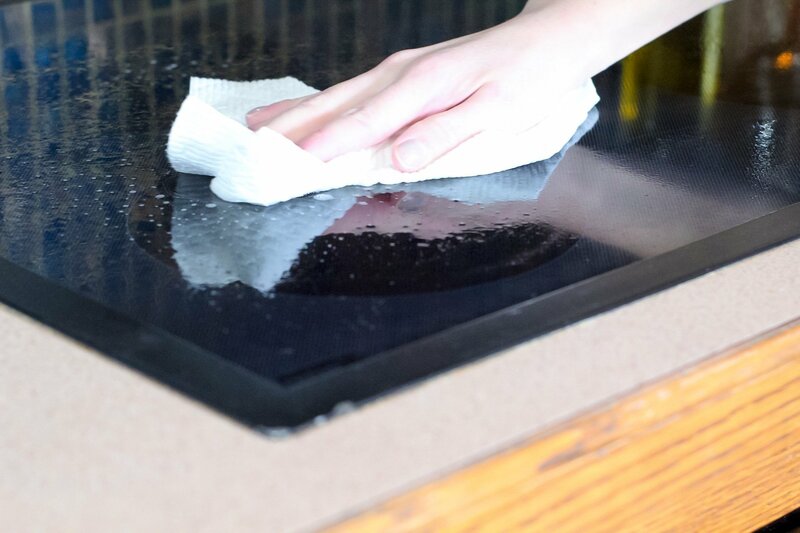 Your homemade cleaner would be ineffective, and you would end up having to clean a slimy mess off of your counters along with the grease and grime that is already on the surface you’re trying to clean! The best way to store a homemade natural cleaner is in an amber bottle like this one because it prolongs the shelf life of your mixed solution and keeps the integrity of the essential oils, but cobalt blue and clear glass bottles still make great storage options as well. Personally, I use my cleaners so often that I don’t need to worry about shelf life, so I prefer to use clear glass bottles! 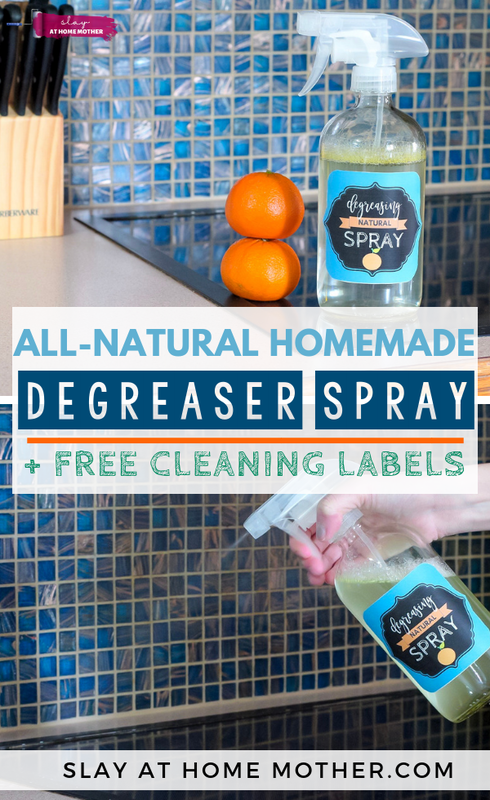 I hope you enjoyed this post and want to try making your own natural degreaser – I loved being able to share one of my favorite natural cleaning solutions with you. It’s a fantastic cleaner with a lot of power, plus it smells amazing! Don’t forget to grab my FREE Printable Cleaning Labels so you can beautiful label your homemade cleaners.